The Night of The Generals (1967) Blu-ray 15.5. Five years after their triumphant teaming in Lawrence of Arabia, Peter O'Toole and Omar Sharif reunited for this powerful World War II thriller about a Nazi General who becomes a serial killer. When a Polish prostitute is brutally murdered in Nazi-occupied Warsaw, her killer is identified as a German General. The investigator, Major Grau (Sharif) narrows the suspects to three Generals in the German high command: the heroic Tanz (O'Toole), the cynical Kahlenberge (Donald Pleasence) and the weak Von Seidlitz-Gabler (Charles Gray). For years the crime remains unsolved, until the killer strikes again, bringing this mesmerising mystery to its unforgettable finish. 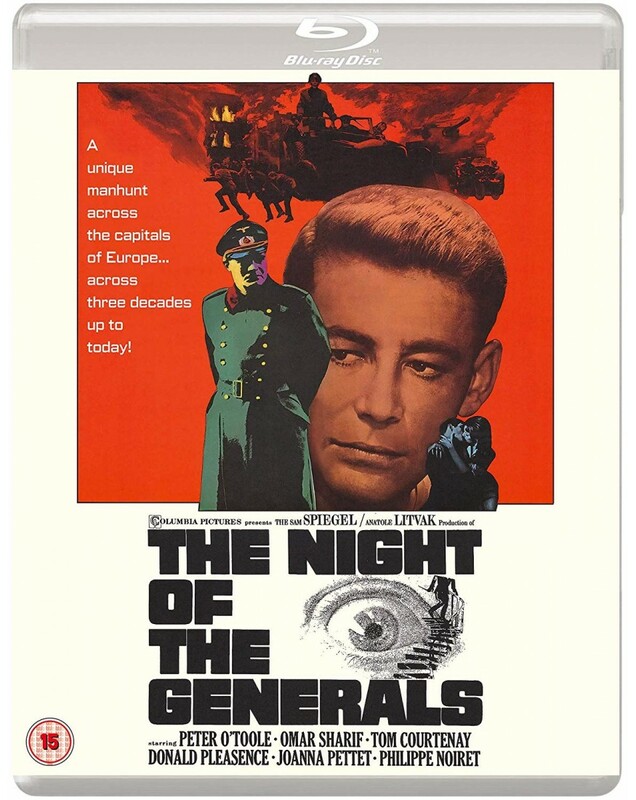 Also starring Christopher Plummer, Tom Courtney, Philippe Noiret and Joanna Pettet, The Night Of The Generals is an all-star thriller from a master of the form.